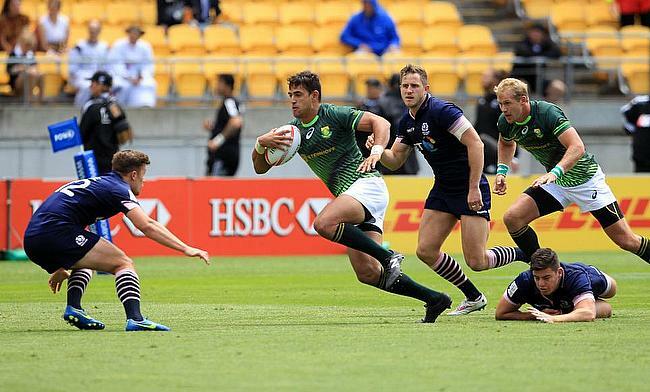 Experienced flanker Chris Dry said New Zealand will be wary of Blitzboks when the two teams converge during the Cape Town Sevens that is scheduled to be played on 8th and 9th December. South Africa are positioned in Pool A along with New Zealand, who were the winners of Dubai 7s last weekend and also the defending champions of Cape Town 7s. The two teams will be accompanied by Samoa and Zimbabwe in the group but the battle between South Africa and New Zealand will be the one to watch out for in the opening stage of the tournament. “I don’t think they would like to play against us because we’ve done out job well over the past two seasons,” the 30-year-old told Netwerk24. Dry, who returned to the squad after recovering from a knee injury said the Blitzboks are relishing to face New Zealand early in the tournament. The last time these two teams met during the Cape Town Sevens was last year when New Zealand went on to defeat South Africa 12-19 in the semi-finals.